Easter is this weekend and I find myself reminiscing about past Easters in our family and how special this celebration has been in many ways. When we were little Easter often fell on spring break and we frequently went “out west” as my parents called it. We went to Las Vegas! Many Easter’s we took a cab ride to the local Catholic Church and celebrated Easter with the locals and tourists of Las Vegas. Most times we had to go somewhere “educational” in addition to Las Vegas so one year we visited the Grand Canyon. We looked up the local Church and arrived at a small Church attached to the priest’s home. Well, as you can imagine Easter is a popular day for people to attend Church and they were packed! We sat in the entry way of his house, many others were sitting in his kitchen! We still remember that Easter fondly and laugh at how it was so unexpected. Easter 2012 was spent in Kraków, Poland visiting Chelsea while she studied abroad for the semester. We celebrated Easter Sunday with Mass at the home Church of Pope John Paul II. I love that no matter the language of the Mass you can follow along and know exactly what is happening. The Our Father and offering of peace is something we can all partake in no matter the language. It’s humbling. 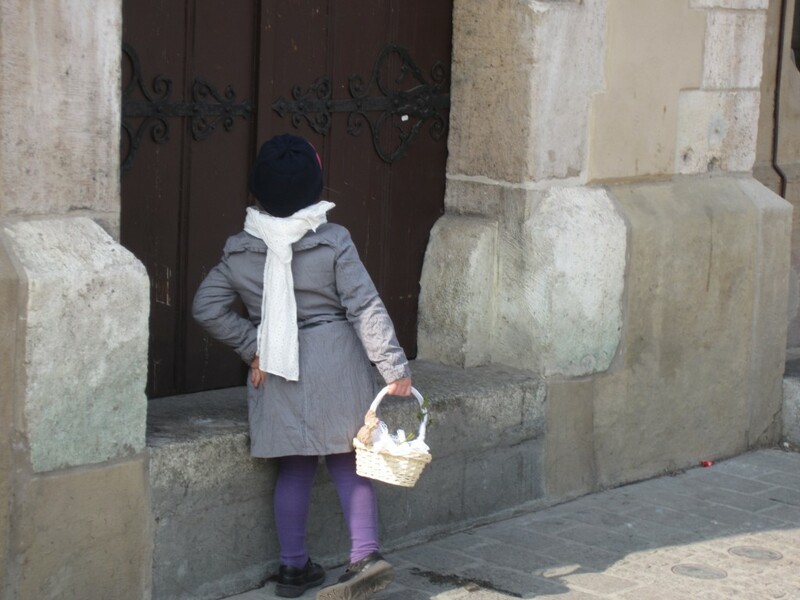 In Poland I recall their use of Easter baskets. 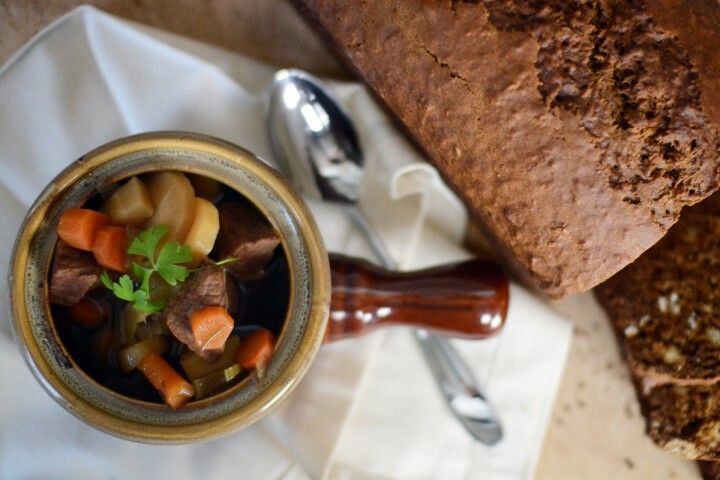 On Saturday the food to be eaten on Easter Sunday is taken to Church to be blessed. And that food is carried in your Easter basket! I hope you enjoy these photos of families we saw in the square carrying their baskets. I especially love the adults carrying a basket. As Americans we think of only children but in Poland it was very much a family event and a religious one. It was a memorable experience. Easter 2014 we announced to our siblings that we were having a baby! I cannot believe that was two years ago. How our lives have changed in two short years. 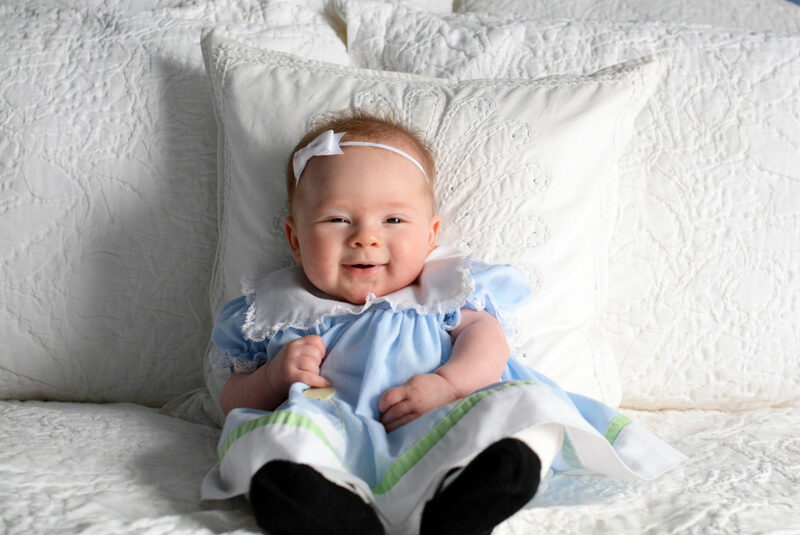 2015 was Charlotte’s first Easter and she wore one of my baby dresses. I remember thinking how beautiful she looked. Of course I always think she’s beautiful, even when covered in food from head to toe! But there are certain times that you remember so clearly and feel so filled with joy and awe of your sweet angel. 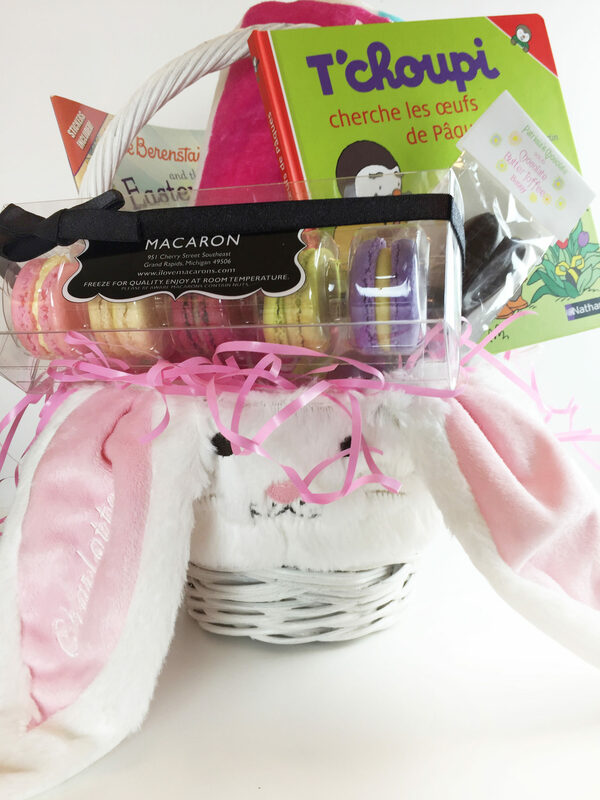 This year we will fill Charlotte’s Easter basket with similar things from last year, but this time she will be able to enjoy them and I won’t be able to steal her macarons and chocolate! Well, maybe still a little bit. I know she will devour the macarons! 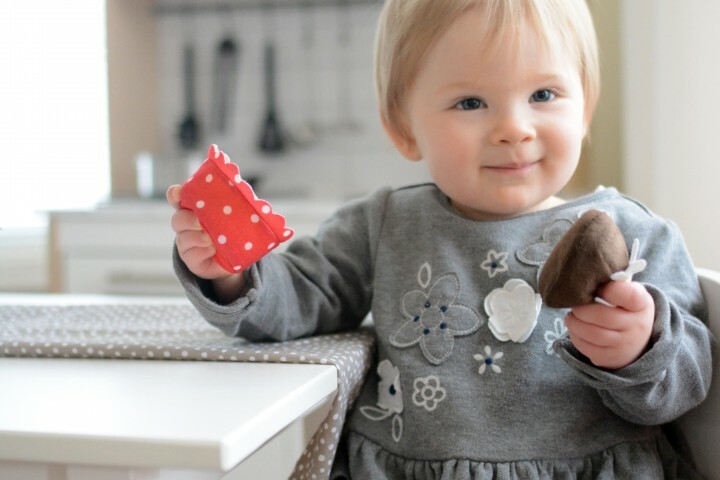 She is a little Le Bon Macaron addict! But are you really surprised? 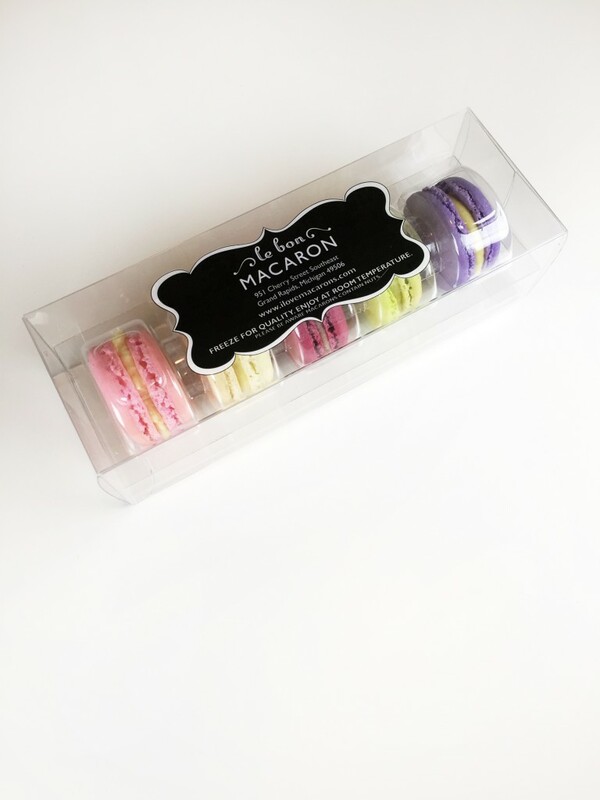 We chose jasmine, vanilla, cassis, margarita and violet macarons for her basket. I look forward to seeing her search for colorful eggs and giving them a shake like she loves to do! She will certainly be surprised to find they’re filled with candy! And no, she will not eat the candy! At least not this year. 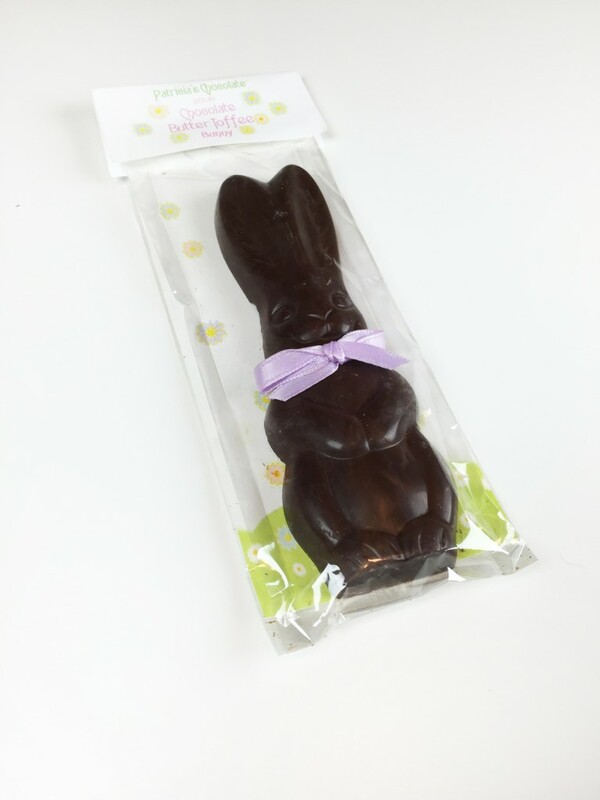 One thing she will eat will be her fancy and delicious chocolate bunny from our friend Patty at Patricia’s Chocolate. Patty’s shoppe in Grand Haven sells our macarons and we adore her chocolate. I was absolutely thrilled to find (and receive in time!) 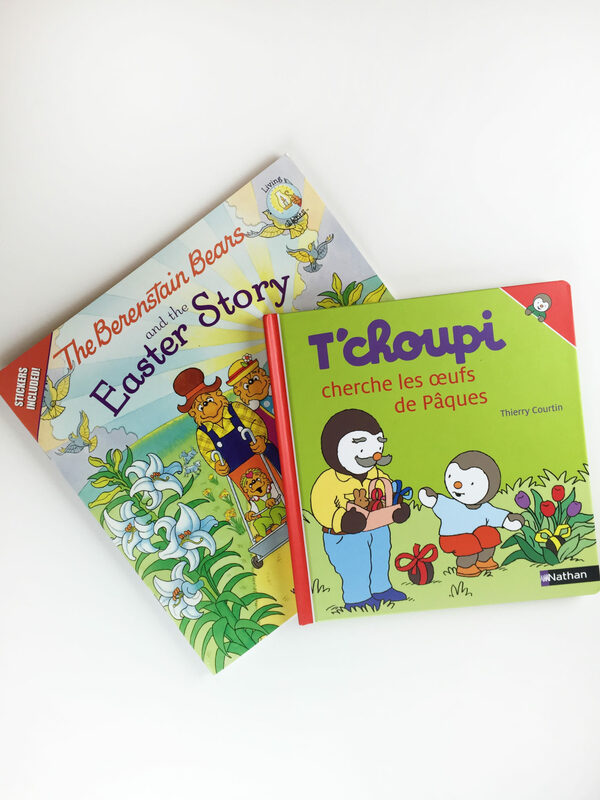 one of our favorite books, T’choupi. 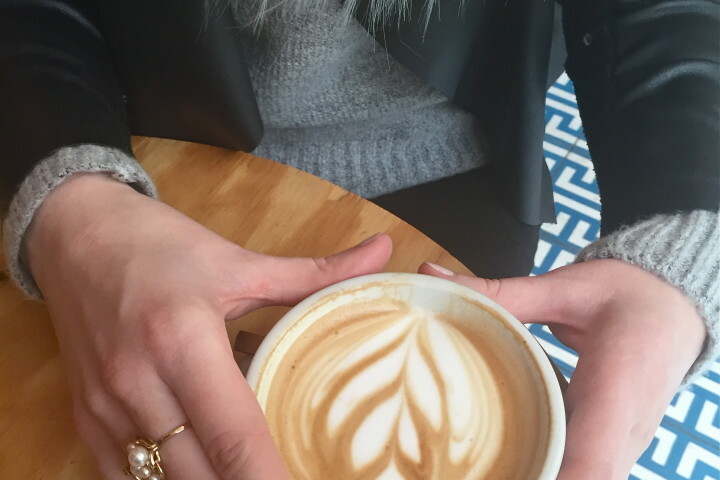 Charlotte is learning French…yes, she understands French just as well as English. That is a topic for another day. I was able to find “T’choupi cherche les oeufs de Paques” for her basket and I cannot wait to read it with her! Another favorite is “The Berenstain Bears and the Easter Story.” You can never have too many books when you are a child. While Easter eggs, presents and candy are fun please always remember and celebrate the true reason for Easter. We give thanks every day for the gift of Jesus and His ultimate sacrifice for us. We wish you a blessed Easter and cherished time with your family and friends.